Jesse W. Jack has a vast amount of experience in representing individuals and businesses in complicated transactions and establishing and advising businesses in complex and difficult issues. In addition, Mr. Jack provides counsel to clients in connection with real property purchase and sale, co-ownership, commercial leasing and financing. Mr. Jack has lived in San Jose since 1941. 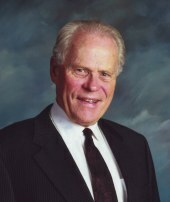 He graduated from San Jose State College in 1960 and from Hastings College of the Law in 1963. He was admitted to the California State Bar in 1964 and began his private practice immediately thereafter. Mr. Jack has served on the ethics committee, fee arbitration committee, judiciary committee and real estate committees of the Santa Clara County Bar Association. Mr. Jack has served on the board of directors of several privately held businesses, non-profit organizations and publicly held companies. He has been certified as a director for publicly held companies by the Anderson Advanced School of Business at the University of California at Los Angeles. Served on the Board of Eastfield Ming Quong. Founding director of the Parkinson's Institute. Previous member of the Board of Oplink Communications, Inc. and served on the audit committee and was Chairman of the Governance Committee.